Maybe it was the favourable forecast, could have been the early start, the destination, or, Brian's words encouragement. Whatever, it drew the numbers. 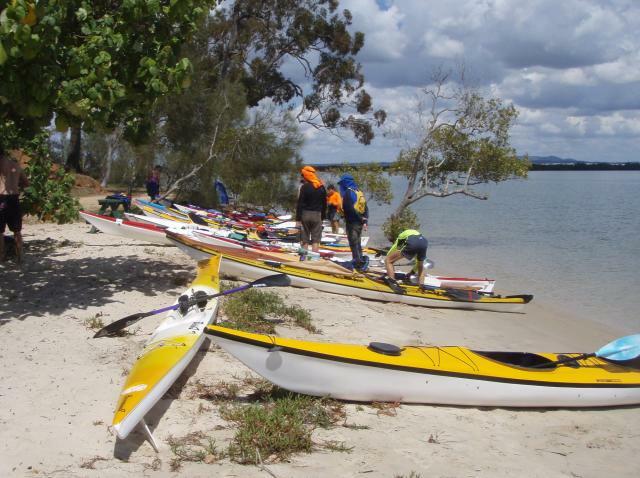 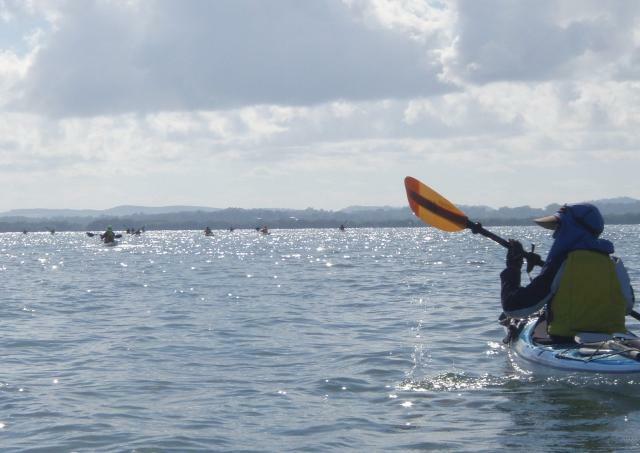 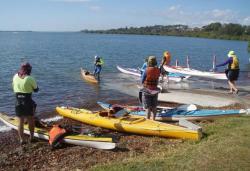 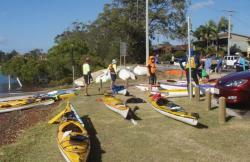 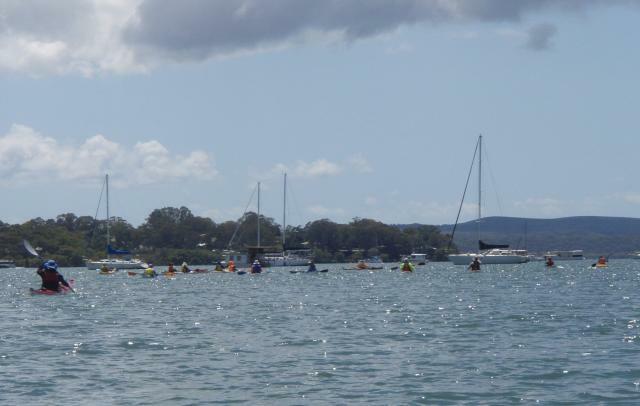 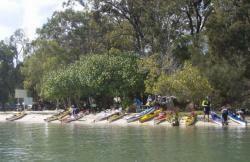 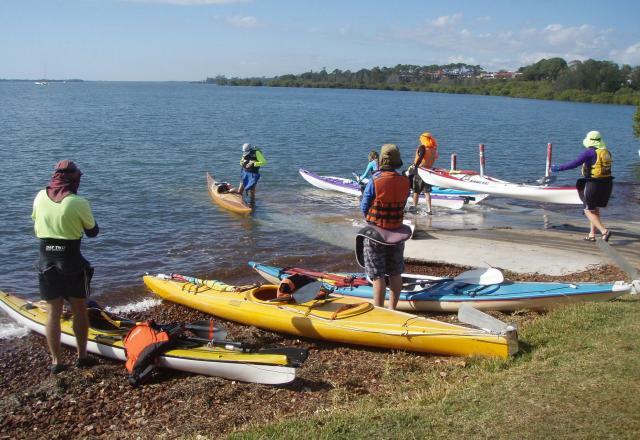 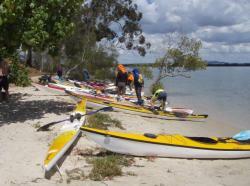 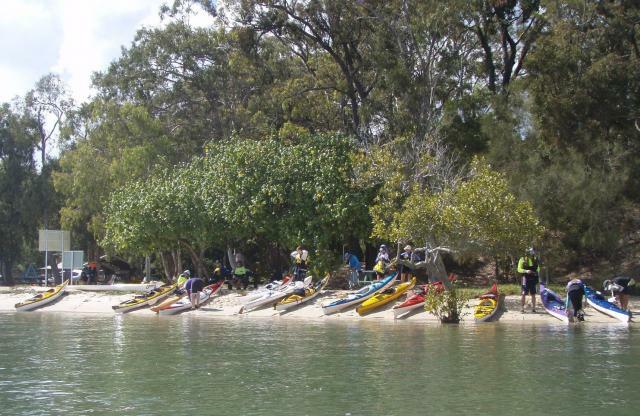 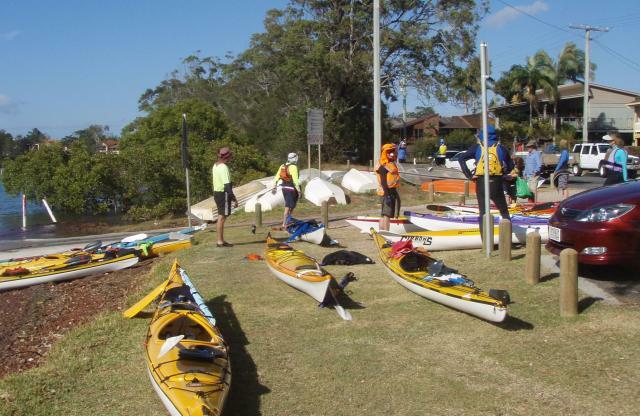 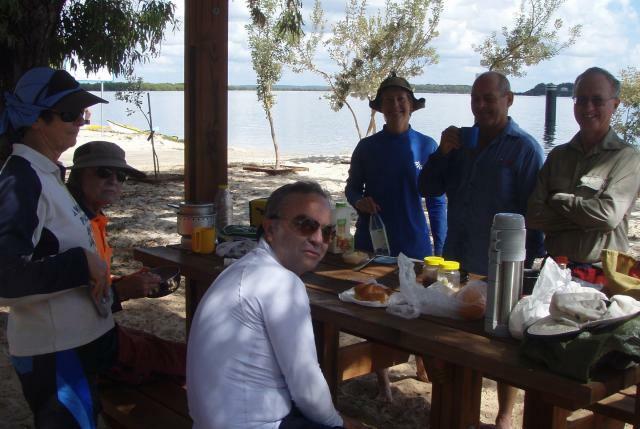 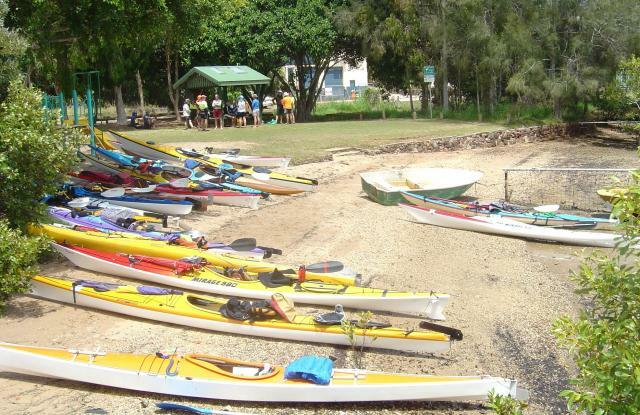 By breakfast 20 paddlers had converged on Karragarra having left from the southern bank of Weinam Creek. 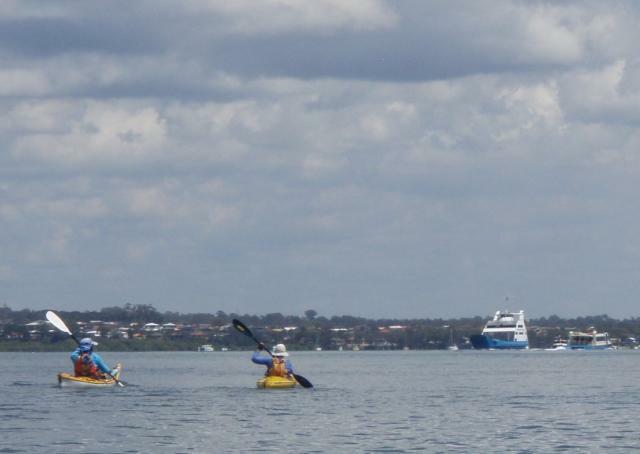 With that many kayaks plus boaties with trailers cluttering the street, the locals had territorial assertions as to where you could and could not park despite a lack of signage. 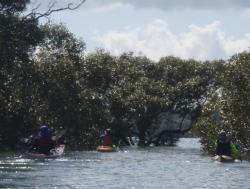 It was nearing the top of the tide, the wind was light. 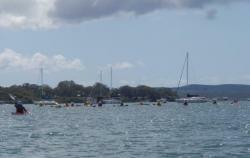 As the group passed through the channel at Garden Island a pair of large bird of prey circled overhead. 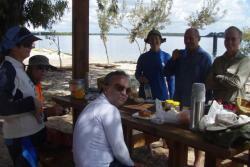 Arriving at Karragarra we found others of like mind already having breakfast on the beach accompanied by a glass of bubbly. 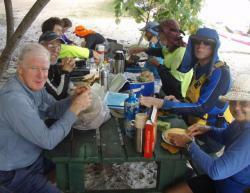 Talk of bacon and mushrooms had the tapeworm fired up and there was no time for a swim. 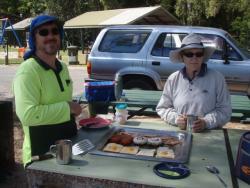 A scrummy plate of bacon, sausages, tomato, mushroom and eggs kept the peace and was washed down by a welcome hot coffee. 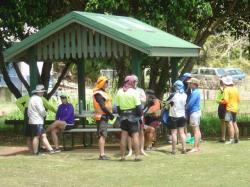 Thereafter the main group headed onto Russell for a morning tea pit stop with a selection of cakes. 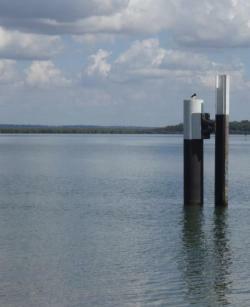 Meanwhile Sal, Mark and I went back direct to the boat ramp. 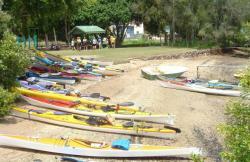 A NE had started to build creating an opportunity for limited but worthwhile sailing. 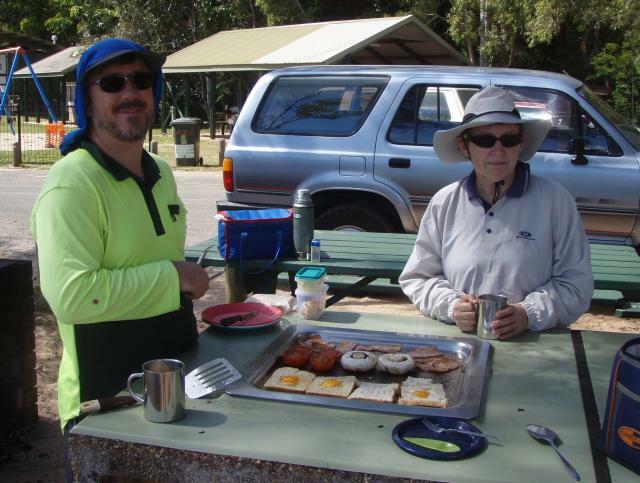 Whatever it was, the morning delivered a beautiful day, great food and enjoyable company.